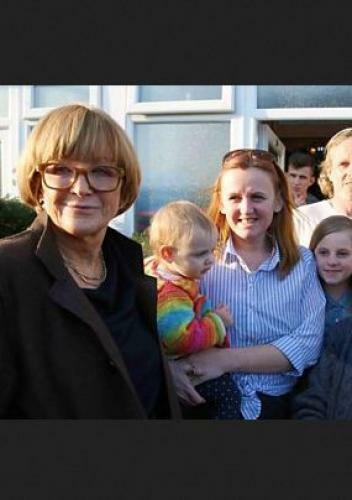 When will be Anne Robinson's Britain next episode air date? Is Anne Robinson's Britain renewed or cancelled? Where to countdown Anne Robinson's Britain air dates? Is Anne Robinson's Britain worth watching? Anne Robinson presents a four-part series delving into different areas of contemporary British life. In this episode she tackles parenting, assessing the rights and wrongs of 21st-century parenting by looking at some of the radically different approaches available. She enconters an attachment mother who breastfeeds her toddlers, a career mother who misses out on some of the most significant moments of her children's lives, a single dad struggling to disciple his brood and a traditional father with well-behaved offspring. The programme also gets two sets of parents to experience each others' very different approaches to education. Anne Robinson presents a four-part series delving into different areas of contemporary British life. Anne is a dog lover and has never been without one in her life. In this episode, she meets like-minded people from all walks of life with strong views about their pets. Her journey takes her behind the curtains of British homes and reveals just how eccentric we are when it comes to our pets. From the Magnificats, seven London cats with their 1.4 million Facebook fans, to the lady whose rabbits helped her through her divorce, Anne examines whether a pet can ever be more than a pet and looks at what our love of our four-legged friends says about us. She also gives two very different dog lovers the chance to experience each other's relationships with their pets. Richard's highly regimented pack of gun dogs are the epitome of good behaviour, while Ewa believes in pampering her fur babies. What will they make of each other and their pets, and whose approach is best? Anne Robinson's Britain next episode air date provides TVMaze for you. EpisoDate.com is your TV show guide to Countdown Anne Robinson's Britain Episode Air Dates and to stay in touch with Anne Robinson's Britain next episode Air Date and your others favorite TV Shows. Add the shows you like to a "Watchlist" and let the site take it from there.